New in Previews: TV's Batman, the Return of the Ghostbusters and Deadpool, Deadpool, Deadpool! October 2013 - The monthly Previews catalog from Diamond Comic Distributors is always chock-full of awesome new products, but this month's Diamond Select Toys offerings are even more awesome than ever! 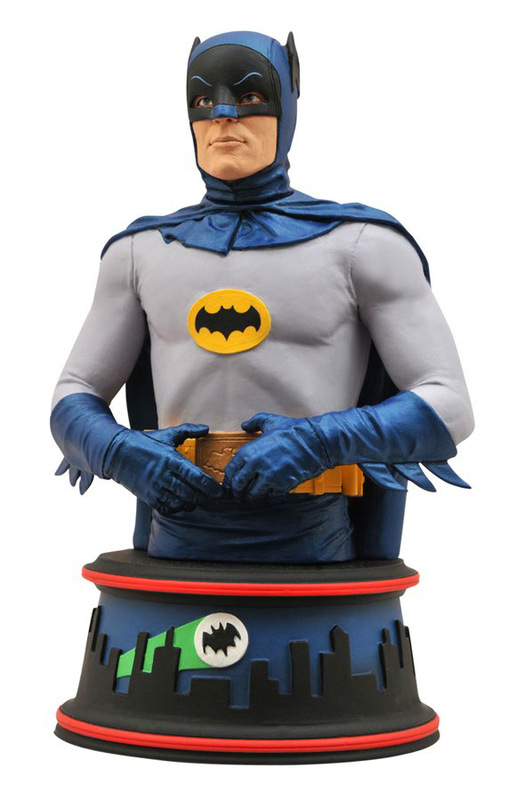 Not only is DST soliciting its new line of Batman resin busts in the new issue, they've got an upsized Mr. Stay Puft bank, the first Ghostbusters Minimates in eons, and the most Deadpool-tastic Marvel Minimates box set ever! Plus Knight Rider, Dawn and more Marvel Select! The catalog hits at the end of the month, and the products wont be out until early 2014, but you can take a gander and pre-order them now! 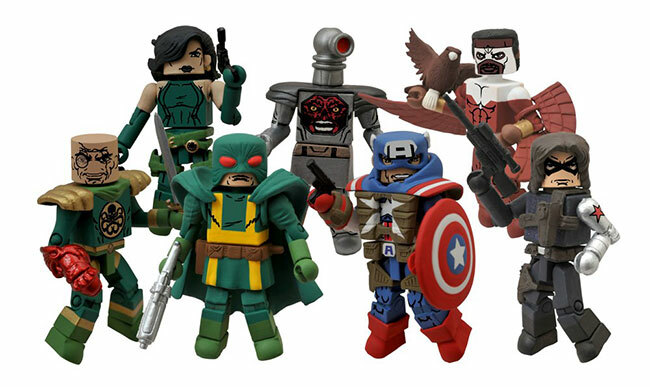 New Diamond Select Products in the September 2013 Previews! August 2013 - The print edition won't be out for a week or two, but the digital edition of Diamond Comic Distributors' Previews catalog is online, and retailers have already begun offering all of the great new products from DST! Check out what you can pre-order now below, and find your nearest comic shop at comicshoplocator.com! Marvel Minimates Series 54 Captain America Asst. On Sale This Week: Halo, Dawn and Marvel vs. Capcom! August 1, 2012 - It's Wednesday,which means that your local comic shop has gotten in yet another batch of comic books... and a new batch of exclusive toys from Diamond Select! 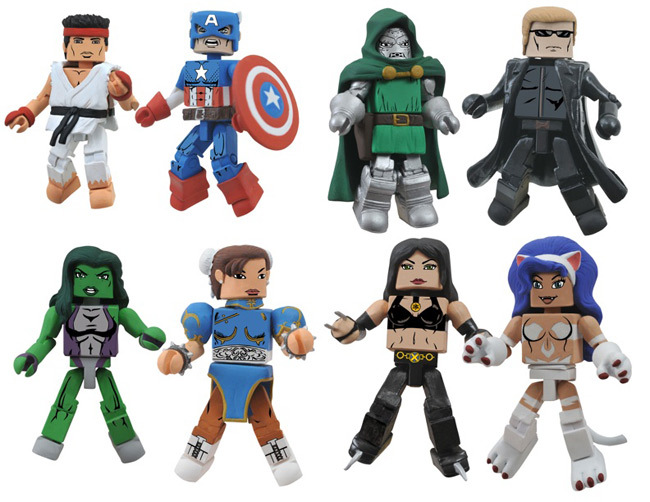 This week brings a new assortment of Minimates, a new box set and a new Femme Fatales statue, so gamers and comic lovers take note and plan your trip now! These 2-inch-tall gladiators represent some of the most popular characters from the Marvel and Capcom universes: Captain America and Ryu! She-Hulk and Chun Li! 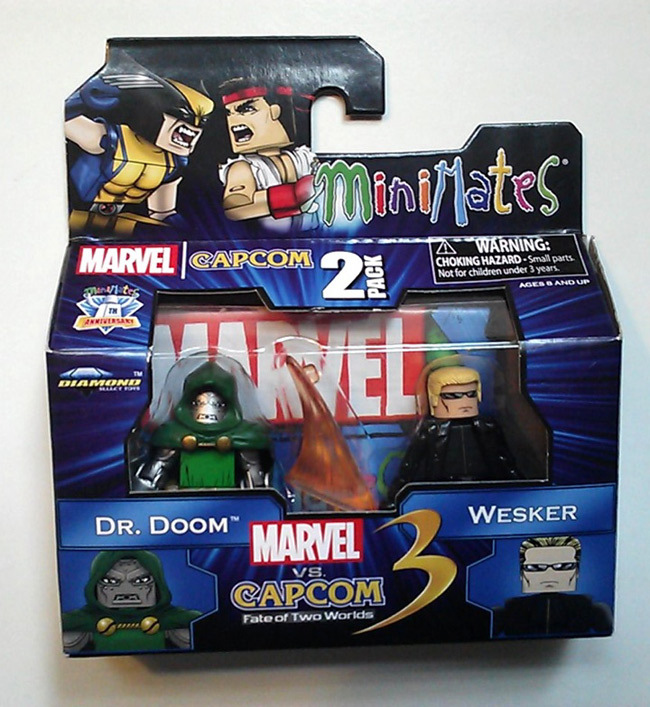 Doctor Doom and Albert Wesker! X-23 and Felicia! The female characters are only available at comic shops, so be sure to snag your set! Dawn: Executioner is the Next Femme Fatales Statue from DST! July 2012 - The next 9-inch Femme Fatales PVC statue to hit stores from Diamond Select Toys is none other than the First Lady of Femme Fatales -- Dawn, created by Joseph Michael Linsner! Inspired by the cover to Cry for Dawn #8, this crimson-armored version of Dawn is titled Dawn: Executioner, and skilled sculptor Steve Kiwus has adapted the look and pose from that cover into three dimensions. Below, you can see the early control art Linsner drew up for DST, Kiwus' final rendering, and the final piece. And check out the exclusive variant version! Made especially for Hastings stores (and http://gohastings.com), this exclusive purple-and-black variant of Dawn -- color scheme designed by Linsner himself -- will hit stores at around the same time as the regular edition. Look for Dawn: Executioner to hit comic shops and online toy stores on August 1!